In fact Beecham skates delicately around the two most notorious aspects of his subject's life - his death from syphilis and his highly suspect belief in some species of Caucasian supremacy. 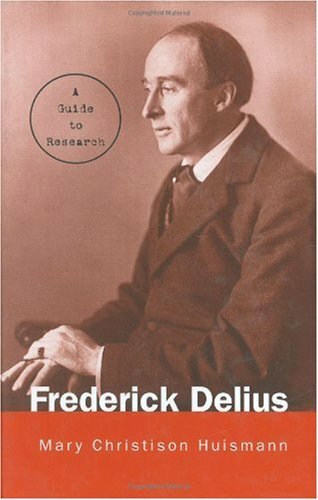 Regarding the latter, Beecham offers his own belief that Delius had no really coherent philosophical outlook other than a wholesale contempt for and rejection of religion. This world-view Beecham terms `Pyrrhonism', and it takes no great reading between the lines to sense that it was an outlook that he shared, albeit from a more worldly and tolerant standpoint. I myself share entirely Beecham's opinion that the Mass of Life, to poetry by Nietzsche, is Delius's greatest composition, while reserving judgment as to whether it can legitimately be compared with Bach's B minor Mass. I am much clearer that neither the text nor the music have any political dimension whatsoever, and that this great work can certainly stand alongside Mahler's eighth symphony. As regards the affliction that brought Delius to physical ruin, I suppose it would take Beecham to describe it as the way in which Aphrodite Pandemos repaid her devotee in his younger days, and in general Beecham is very brief and summary regarding Delius's relations with women. Nobody, I suppose, was in as good a position as Beecham was to portray his friend in detail. He makes reference to such earlier biographical studies as then existed, notably the hagiographical production of Philip Heseltine, the composer Peter Warlock, a work that Beecham characterises as `juvenile', and indeed Heseltine was a lifelong juvenile. 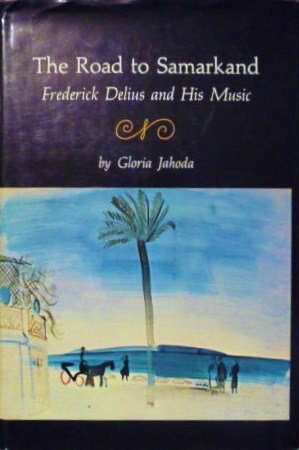 His own study is affectionate and closely observed, with Beecham's characteristic humour and wit in the description of Delius's manner of speaking, with a Yorkshire accent overlaid with strange locutions deriving from the polyglot composer's long absences from England or America in Scandinavia, Germany and France. 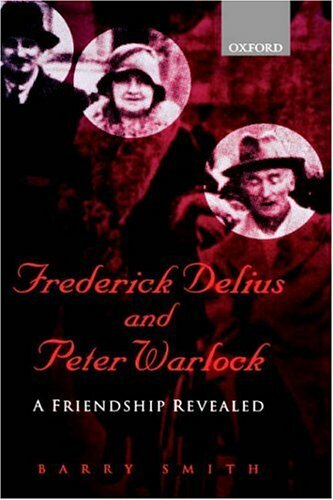 One respect in which this book is particularly enlightening is the account of Delius's financial history, a matter in which Beecham, himself the son of an industrial magnate in northern England, has the background and experience to know what he is talking about. Beecham explicitly disavows any intention of offering a critical study of Delius's music, but you can take that with more than a pinch of salt. As you would expect, he does not subject us to any tedious catalogue raisonne, but the compositions are discussed seriatim as the composer produced them. My own grasp of the music of Delius is a lot better than it was just a few years ago, and not before time either, and I was enthralled to read Beecham's insights and check them against my own provisional views. As when he discusses his subject personally, Beecham is sympathetic but far from uncritical towards the music, and I have been left with a great deal to ponder as regards not only individual compositions but the oeuvre of Delius taken as a whole, not to mention some enlightening and often highly entertaining reflections on contemporary music generally. From Beecham's standpoint in the late 1950's I seemed to get a picture of Delius as a potential rival to Strauss in popularity, and I'm far from sure that this is the impression I have today. Delius is known mainly from some smaller orchestral bonbons, and it seems to me that he has not really made a universal breakthrough as Strauss has. I have certainly come round to the view that Delius is fully of the stature of Strauss or Mahler, and I certainly share Beecham's hope that his stature will someday be fully appreciated, but what the odds are against this outcome I would not like to guess. 15. The Royal Shakspere; the poet's works in chronological order from the text of Professor Delius, with The two noble kinsmen and Edward III. There are 3 volumes; the first of which contains five copies of genuine autographs of Shakspeare taken from his mortgage, and will documents.These documents are also contained within the first volume.There are also the most wonderful abundance of black and white plates within all 3 volumes, all of which are blank backed and some of which are signed.